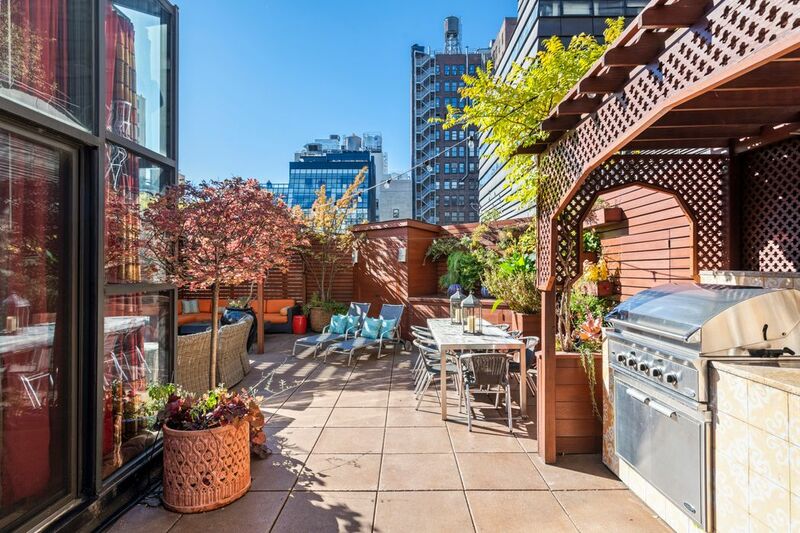 10 East 14th Street Penthouse, New York, NY 10003 | Sotheby's International Realty, Inc. 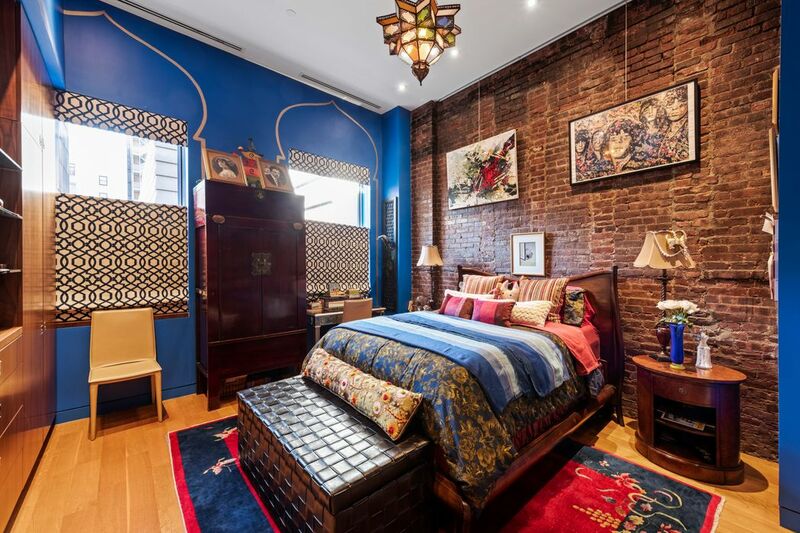 This splendid chateau is nestled in downtowns most vibrant, and iconic Union Square neighborhood. 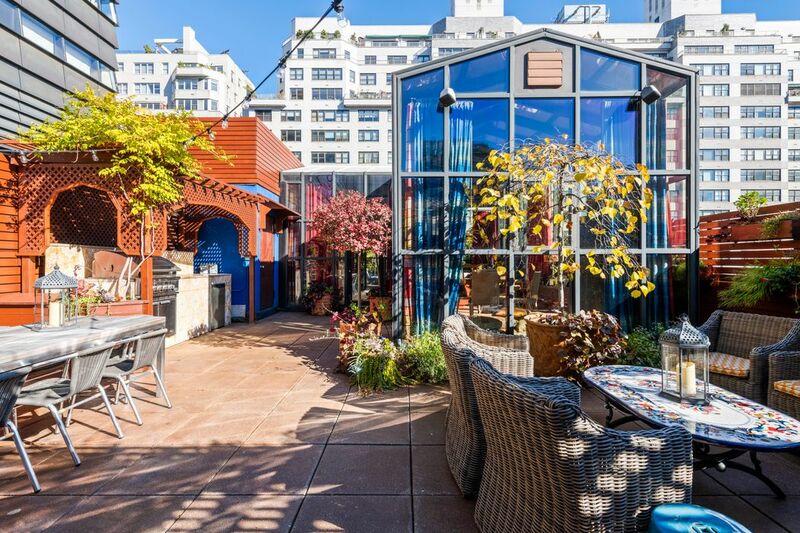 The Penthouse features 3- oversized bedrooms & boasts an all glass 600 sf rooftop conservatory, with custom private elevator ascending up to a one of a kind, triple exposure, rooftop magic garden. The home features over 3,000 sq. 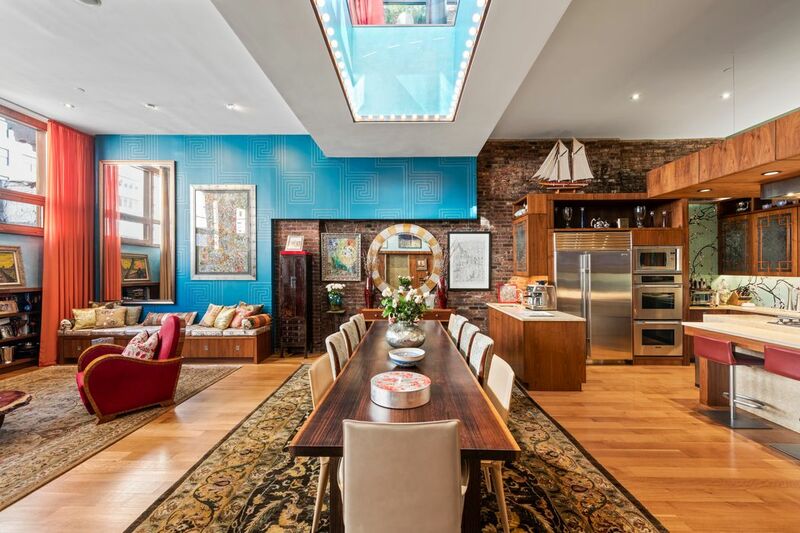 ft. of interior space (including the conservatory), 9-17 ft. ceilings, and 1,300 sq. ft. of manicured outdoor space. Other features include 2.5 sublime renovated bathrooms, key-locked elevator access, exposed brick walls, gorgeous hardwood floors, a gas-burning fireplace, custom built-ins, a sound system with ceiling speakers in all major rooms including the terrace and conservatory, two Miele dishwashers, wet bar, wine fridge, double oven, 5 burner gas cooktop with high-output chef-worthy 20,000 BTU central burner, generous walnut kitchen cabinets and closets, full sized washer and vented gas dryer, and an outdoor kitchen on the rooftop terrace. The key-locked elevator opens directly into a breathtaking great room saturated with natural light. 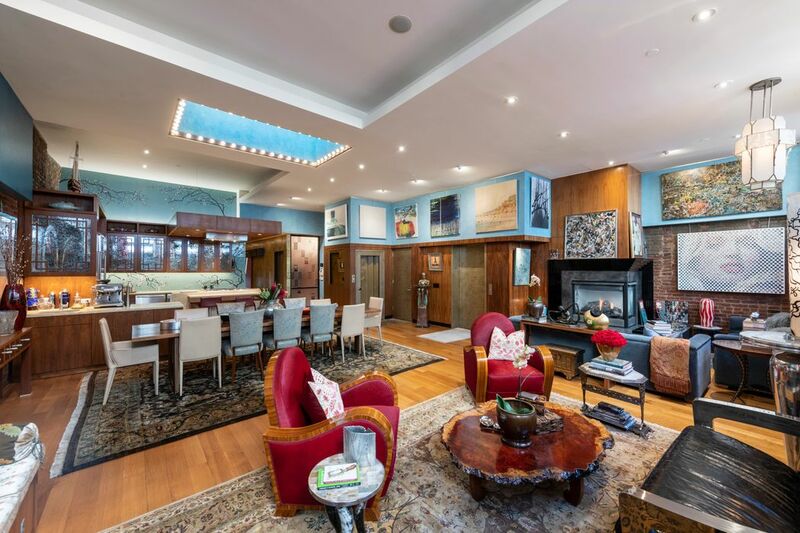 The living and dining spaces possess a wall of beautiful, walnut-framed windows and bookshelves as well as a stone gas- burning fireplace with custom lacquer mantle. 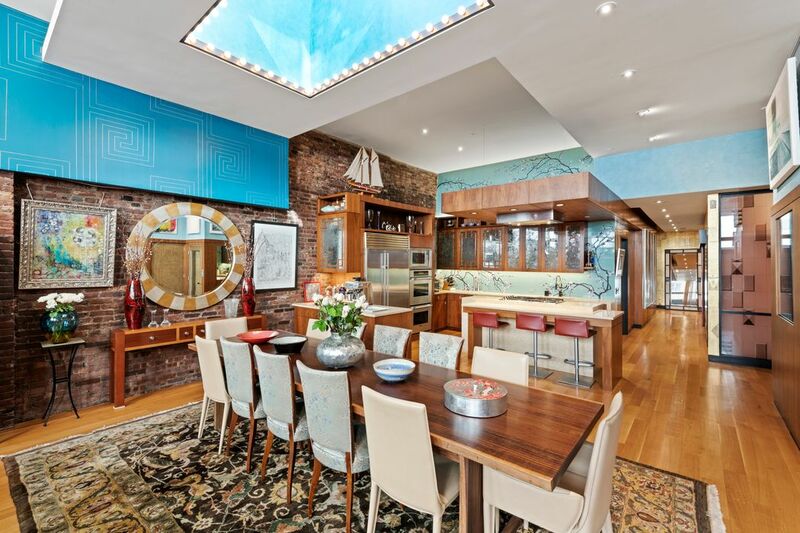 The kitchen is equipped with a 3-seat eat-in island, honed Jerusalem Gold limestone countertops, a custom Anne Sacks mosaic tile backsplash with a matching hand-painted cherry tree mural, and a suite of high-end stainless steel appliances from Sub-Zero, Miele, and Thermador. The home office/3rd bedroom has custom cherry cabinets, bookshelves, and drawers as well as a custom closet and cinema center. The master bedroom offers reach-in walnut closet, custom drawers, and a one- of-a-kind en-suite bathroom with 12 ft. ceilings, heated floors, a private toilet room, exposed brick, Artistic Tile floors, Mother of Pearl walls, glass shelving, Sicis mosaics, dual vanity sinks, a walk-in double shower, a free- standing stainless steel and porcelain double soaking tub, and an enormous, double-height walk-in closet. 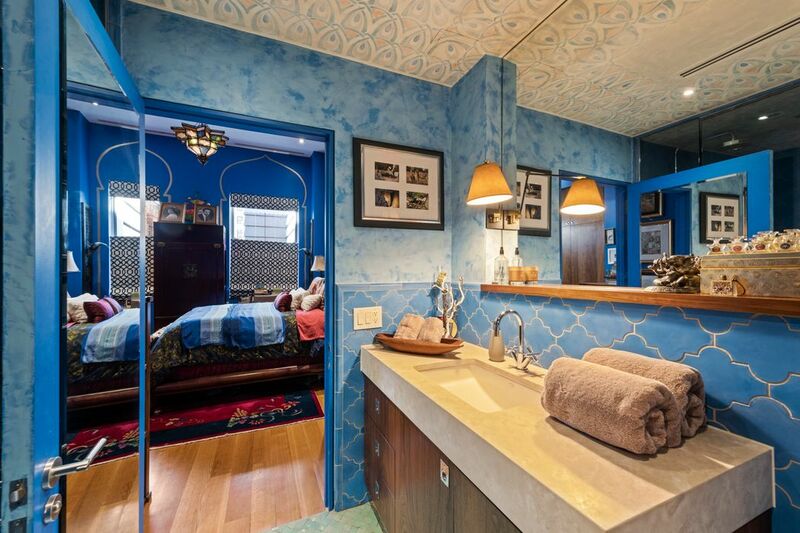 The second bedroom has a pair of floor-to- ceiling closets and drawers and direct access to a Jack-and-Jill bathroom. 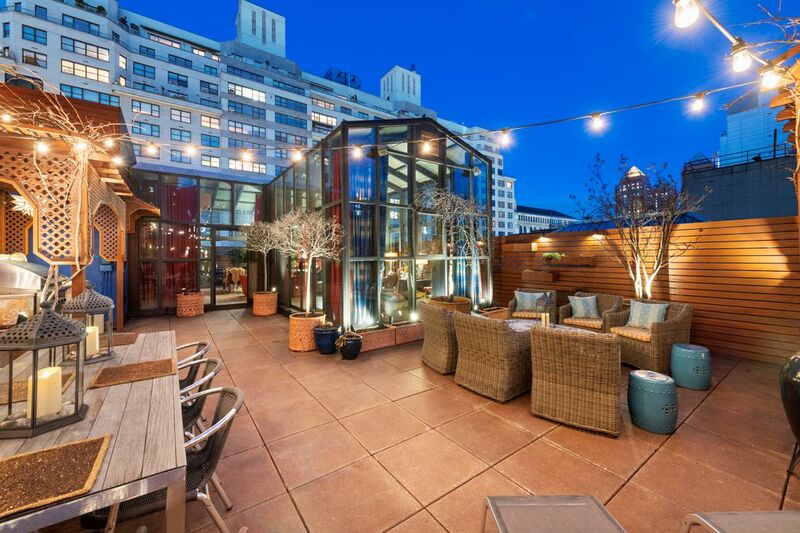 The conservatory and double garden are custom built, private, and unlike any other in the city. 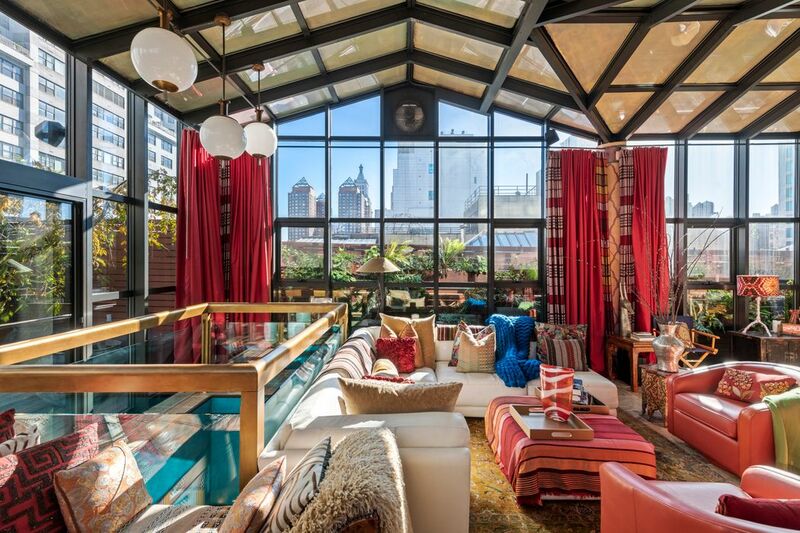 The conservatory acts as an additional living room, lounge, entertainment pit, or office space. 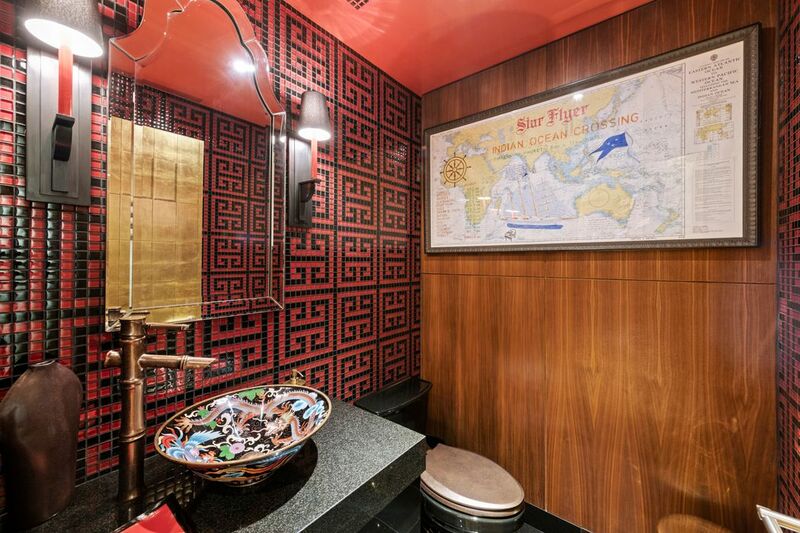 It has multiple entry points to the north and south facing gardens, which feature a plumbed gas grill, a gas fire pit, a sink and fridge, a timed irrigation system, custom furniture and storage, a pair of pergolas, and an elaborate lighting system. 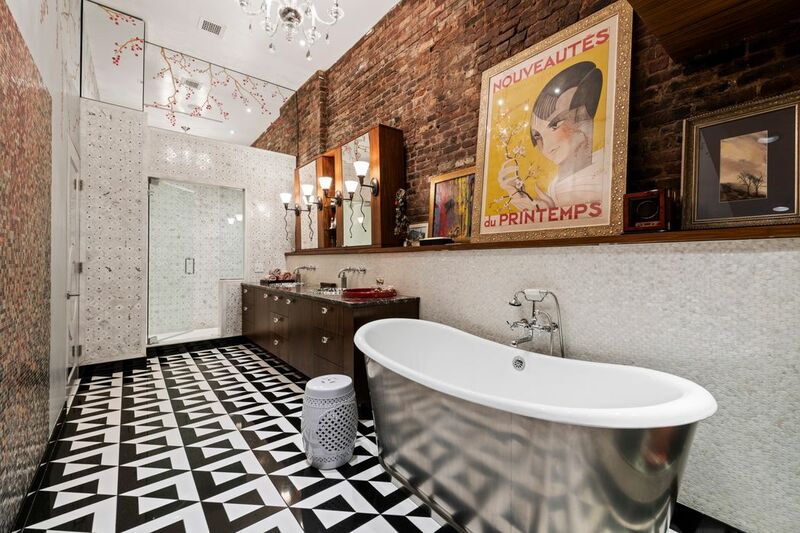 10 East 14th is a prewar, no smoking condominium located at the nexus of Union Square, Greenwich Village, and Meat Packing district. 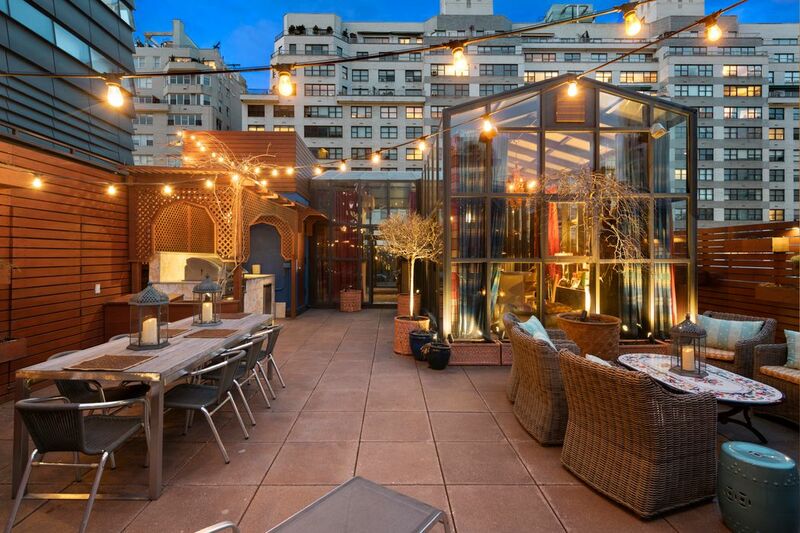 The building is just around the corner from 5th Avenue shops, Union Square Park restaurants, bars, cafes, Whole Foods and Trader Joes grocery stores, and Washington Square Park. Nearby subway lines include the 4/5/6/L/F/M/N/Q/R/W. Pets are welcome. 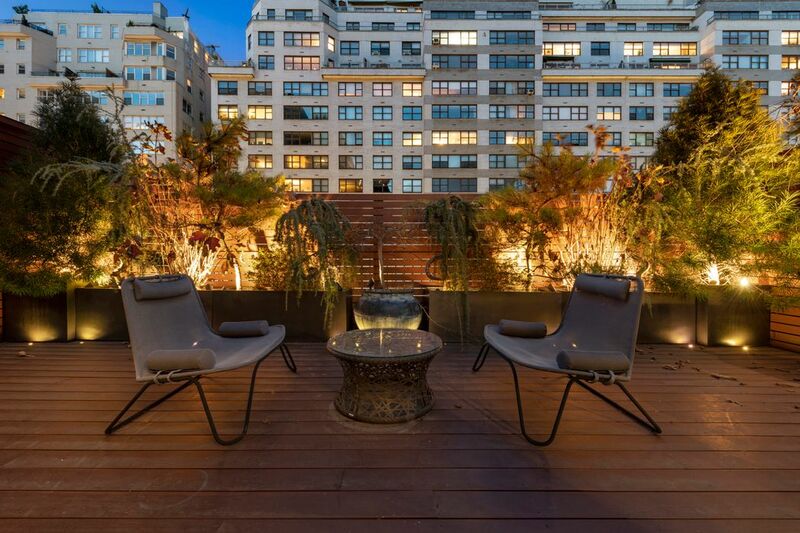 The Wall Street Journal, "A New York Penthouse With a 2,000-Square-Foot Roof Deck"
This splendid chateau is nestled in downtowns most vibrant, and iconic Union Square neighborhood. 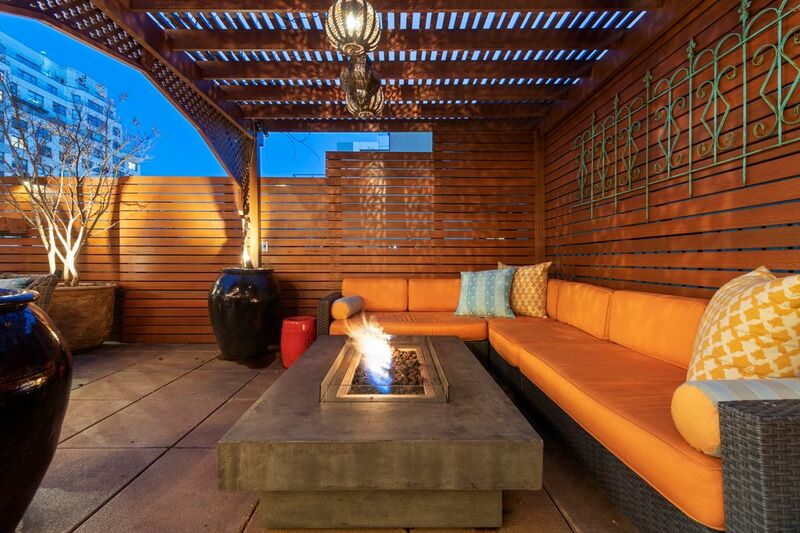 The Penthouse features 3- oversized bedrooms & boasts an all glass 600 sf rooftop conservatory, with custom private elevator ascending up to a one of a kind, triple exposure, rooftop magic garden.The home features over 3,000 sq. 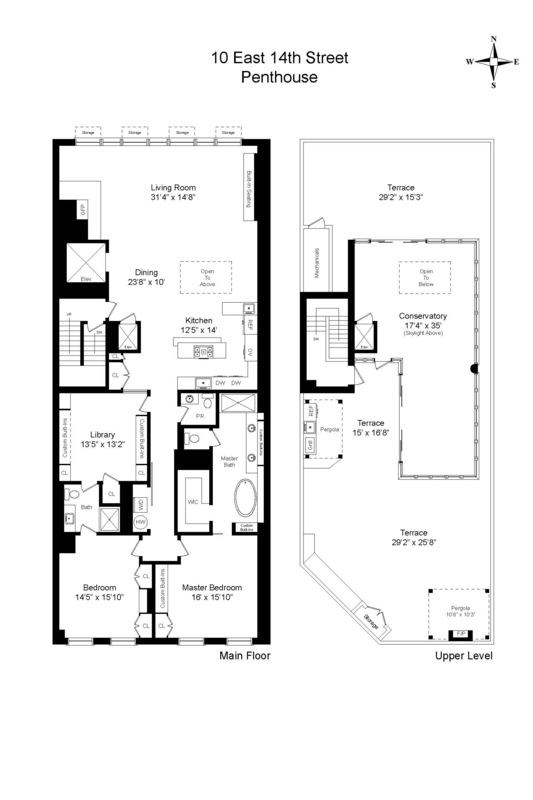 ft. of interior space (including the conservatory), 9-17 ft. ceilings, and 1,300 sq. ft. of manicured outdoor space. The key-locked elevator opens directly into a breathtaking great room saturated with natural light. 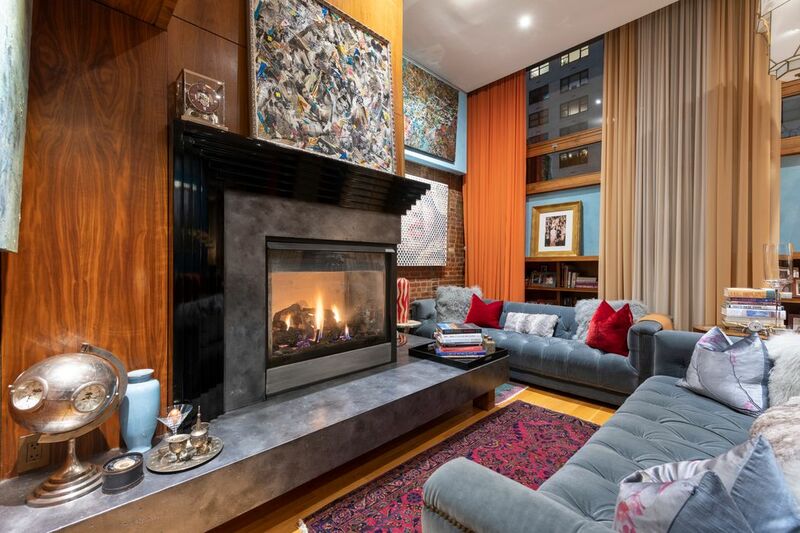 The living and dining spaces possess a wall of beautiful, walnut-framed windows and bookshelves as well as a stone gas- burning fireplace with custom lacquer mantle. 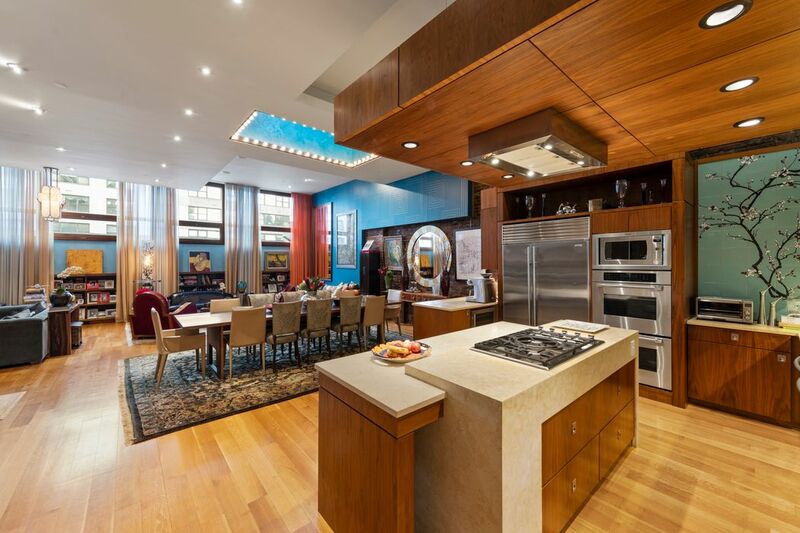 The kitchen is equipped with a 3-seat eat-in island, honed Jerusalem Gold limestone countertops, a custom Anne Sacks mosaic tile backsplash with a matching hand-painted cherry tree mural, and a suite of high-end stainless steel appliances from Sub-Zero, Miele, and Thermador. 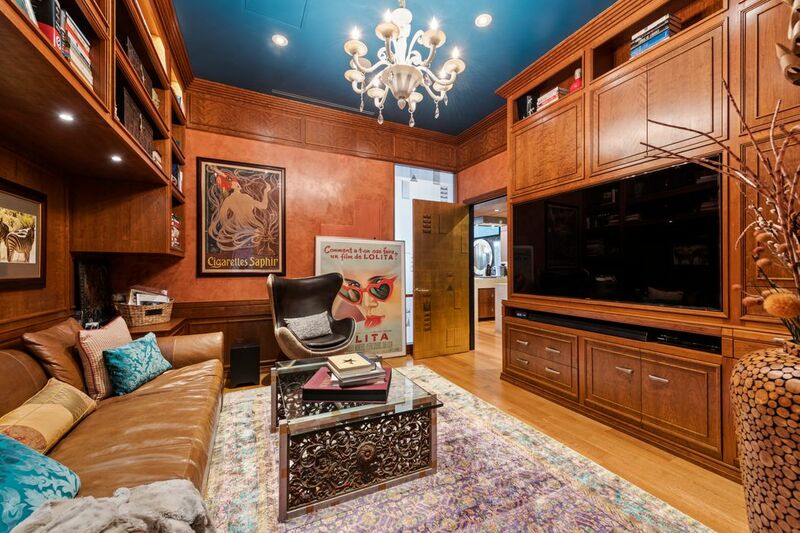 The home office/3rd bedroom has custom cherry cabinets, bookshelves, and drawers as well as a custom closet and cinema center. The master bedroom offers reach-in walnut closet, custom drawers, and a one- of-a-kind en-suite bathroom with 12 ft. ceilings, heated floors, a private toilet room, exposed brick, Artistic Tile floors, Mother of Pearl walls, glass shelving, Sicis mosaics, dual vanity sinks, a walk-in double shower, a free- standing stainless steel and porcelain double soaking tub, and an enormous, double-height walk-in closet. 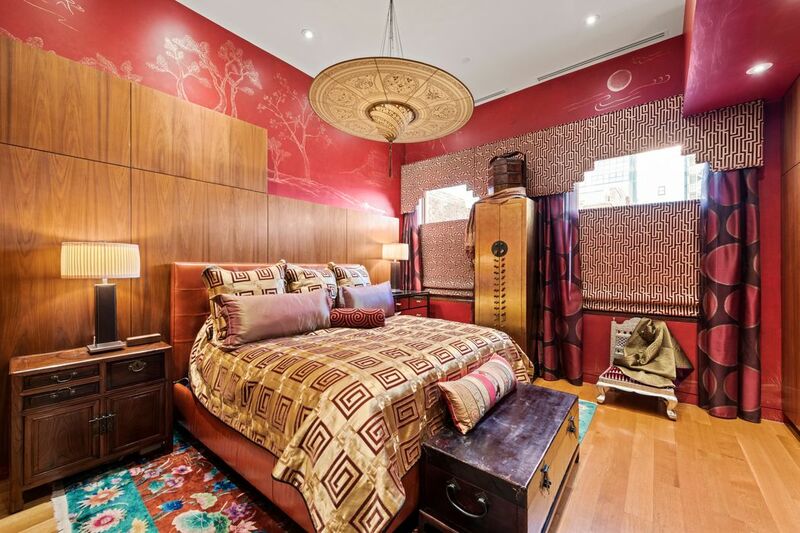 The second bedroom has a pair of floor-to- ceiling closets and drawers and direct access to a Jack-and-Jill bathroom. 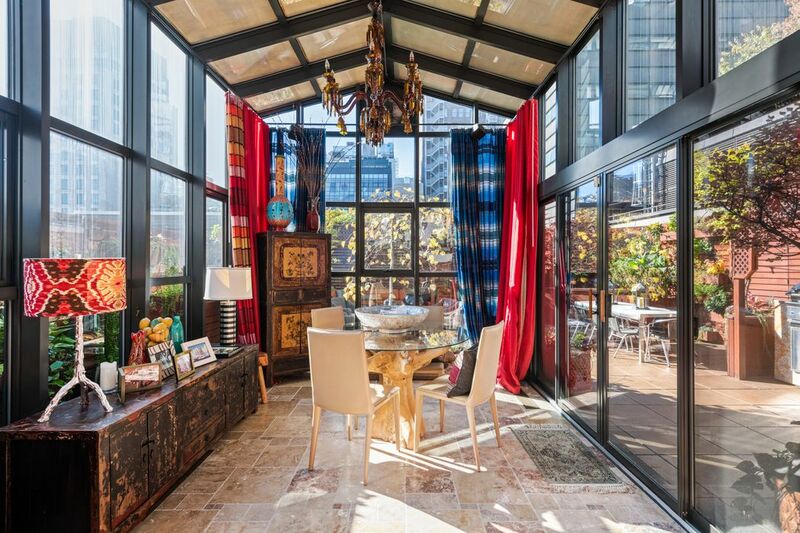 The conservatory and double garden are custom built, private, and unlike any other in the city. 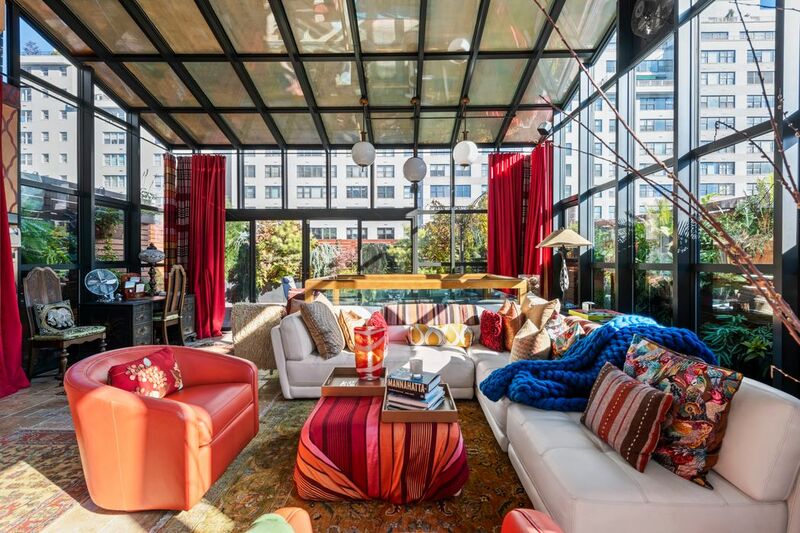 The conservatory acts as an additional living room, lounge, entertainment pit, or office space.